In the spirit of giving back this holiday season, the Data Science community will be sponsoring the Give Back Campaign over the next few weeks. The Give Back Campaign is open to all members of IBM Community and will be hosted here in the Global Data Science Forum. Upload your favorite and/or most valuable resource as an attachment to this thread. This could be your tried and true data tool, a shout out to your mentor, a book that you recommend, or a method that has given you successful results. Recommend the posts in the thread you found most valuable. The member who receives the most recommends will receive an IBM Data Science gift bag with some great goodies! If you upload multiple resources, all your recommends will be tallied for a total score. The winner will be announced November 26th! Go ahead - upload those resources, be creative and have fun. Let's spread the knowledge around! This was a great guide for me to learn how to build machine learning models in Python using sklearn. It was also a great resource when I was prepping for interviews and helped me answer many of the questions I received during my interview process with IBM. For me to master a subject, I need to do continuous practice. Using open data sets outside of work with websites like http://data.gov (US gov) and http://kaggle.com help solidify what I'm learning and adds an element of interest due to choosing a data set that sparks your curiosity! If someone does not have any IT or Computer Science background, I'll definitely recommend starting with two resources: Cognitive Class courses on Data Science (Introduction to Data Science, Data Science Hands-On Open Source Tools, SQL and Relational Database, Python for Data Science, Data Science Methodology, etc. ), and the book "Getting Started with Data Science: Making Sense of Data with Analytics (IBM Press)", by Murtaza Haider. This was the easiest way for me to begin with. 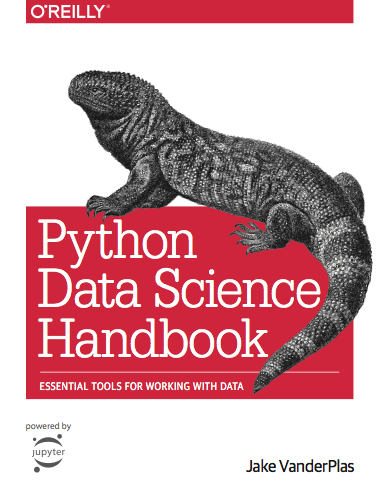 The Python Data Science Handbook, an O'Reilly book and giant set of free, interactive Jupyter notebooks in GitHub, is a fantastic resource for hands-on learning around some of the main tools for data science--iPython, Pandas, etc. O'Reilly really wrote the playbook on online learning and gifting its technical information to learning communities. I'm going through the notebooks now and find them thorough, well-structured, nicely written, keep coming back to them as references for data structures, etc. I come from a non-IT background and started with Python as kind of a hobby next to uni. Datacamp.com was for me a perfect start, because the explanations and videos are quite detailed and having a clear learning path was very helpful for me in the beginning to keep on track. 1. The resource I've found most useful in my Data Science journey is my fellow inventor, who also happens to be my Data Science Mentor, Jonathan Dunne. ( jonathan_dunne@ie.ibm.com)​. He's recently earned his PhD in Machine Learning / Statistics / Data Science, and is always willing to help others understand how a specific model could assist in whatever data analysis du jour comes on the radar. I have started my data scientist pathway through a course recommended by Python-Institute. Courses also available for beginners to register for free with access to hands-on practice and quizzes. These are my favorite data science resources that I have studied in the past but I re-visit all the time to recall an specific topic or concept. ▪ See the download book PDF link. ▪ This has the exercises in python. Thank you to all who participated in the Give Back Campaign! We've seen many wonderful resources trickle in which the community will surely benefit from. If there is anything you would like to share with the community, please continue to do so by uploading your resources in the library or even to this thread. We're all about open and collective knowledge!